By this point I think it’s clear that I love eggs and everything breakfast inspired. So, here are two tips to help you make an omelet that may spark some love of your own! The first big tip is to saute any appropriate ingredient not only to get a good looking brown but also to help heat your omelet from the inside. 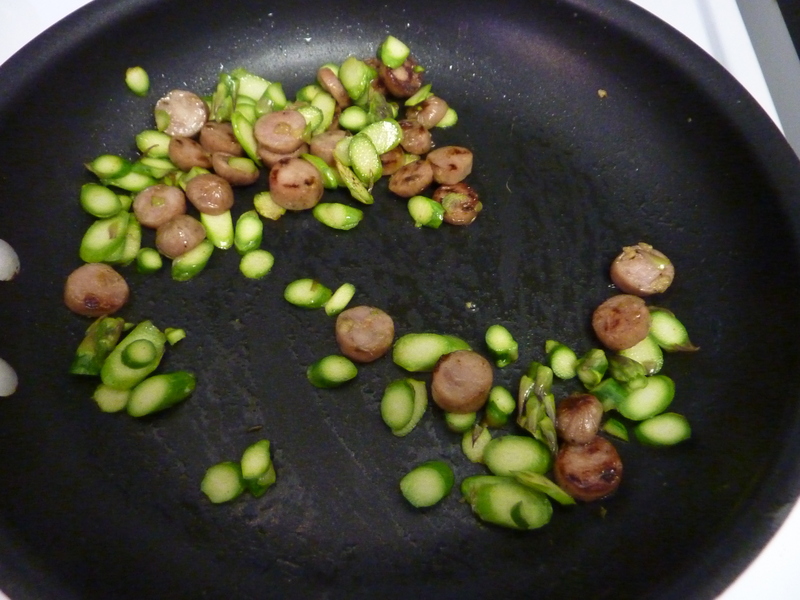 After the sausage is warm and asparagus is starting to soften set to the side and continue to use this one pan. The next tip is to not worry so much about keeping your ingredients to half the pan in preparation for flipping your omelet. After the eggs have just started to set in the pan I layered in the sauteed sausage and asparagus followed by the slice of Swiss and topped with arugula. 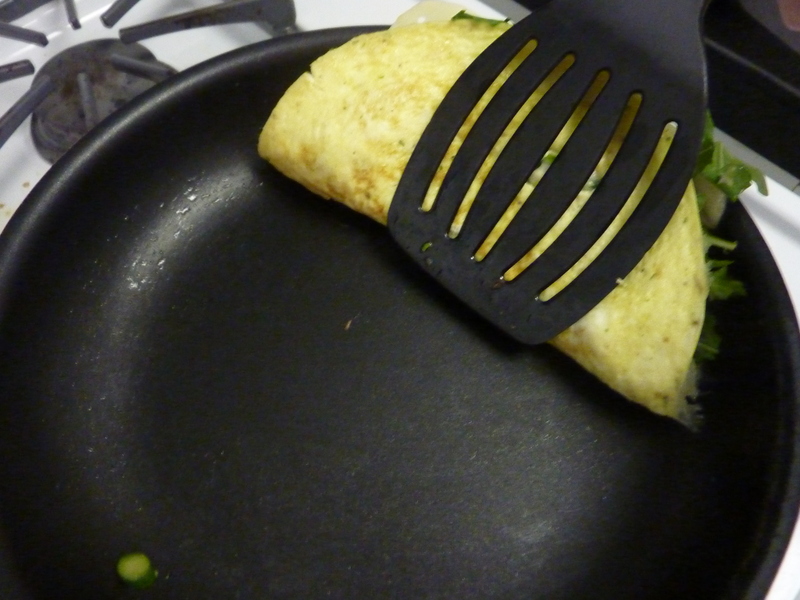 Once it comes time to flip, push your omelet into the rounded edge of your pan with a large spatula. As you flip allow all your ingredients inside to shift and use that spatula to press the whole thing down into a perfect omelet crescent! I know that’s not the clearest explanation but I swear, use that rounded edge and you’ll get a perfect omelet every time! 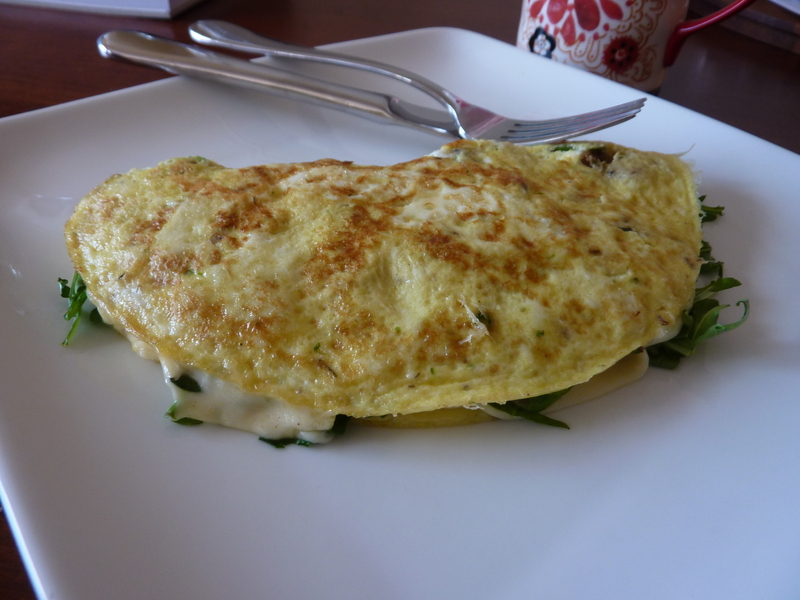 This entry was posted in Culinary Adventures and tagged easy, Omelet, recipe. Bookmark the permalink.